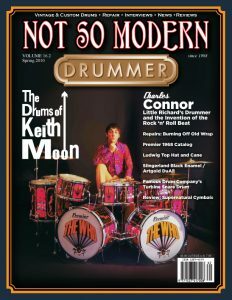 What does a Cajon pedal have to do with compact and portable drum kits? Well, many years ago, when I was still a young spry lad, I made a very small footprint drum kit. The bass drum doubled as a throne. It was a plywood box, much like a cajon, with a shallow section of 16″ shell attached to the side of it. On the front, facing the audience and snare stand was a big hole – about 10″. The top was padded for comfort. To operate this bass-throne, I cobbled up a remote bass pedal. Functionally it resembled the GCP but it was simpler and honestly, to the best of my recollection, pretty awesome. Maybe we’ll do a DIY article on that one day. 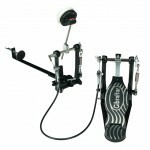 Point is, the GCP is just a remote bass pedal with a beater for a cajon. 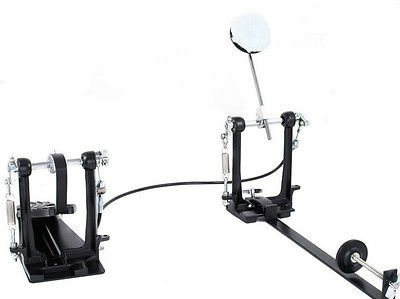 Swap out said beater and you can use it to place your bass drum anywhere. In this review: Gibraltar’s GCP Cajon pedal, we’ll examine the construction, assess the quality and take it through some tests to see how it performs and if it can hold up to jamming and gigging. Read on! A 4000 series pedal without beater and with an added bracket comprises the foot portion of the GCP. 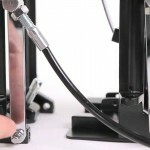 The bracket is bolted to the left spring mount and serves to hold the sleeve for the cable. The cable itself is attached to a cam on the beater shaft. 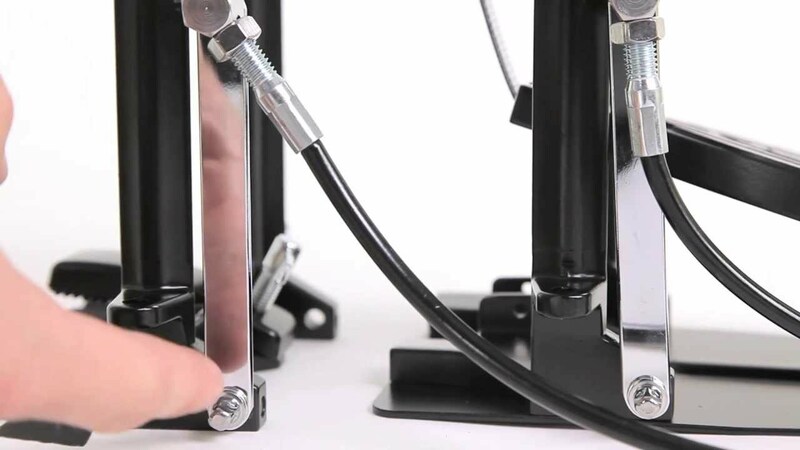 The downward push of the pedal rotates the shaft, raising the cam and thus pulling the cable. At the other end of said cable we find another 4000-series pedal without foot-board and base. Utilizing the same bracket and cam assembly as on the foot portion, but with the cam in the opposite direction, thus when the cable is pulled, it rotates the shaft forward pivoting the beater. 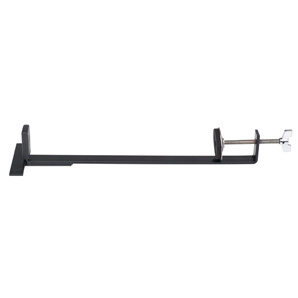 An initial observation is that there is nothing supporting the angle of the cable bracket raising suspicion that it may not remain in an ideal position. This did indeed prove to be true in our tests. Another observation is in regard to the cable itself. It looks like the type used for bicycle brakes. The remote pedal I made many years ago used a clutch cable from a car which was of substantially heavier gauge. On the other hand it was stiffer too, making it more challenging to route. 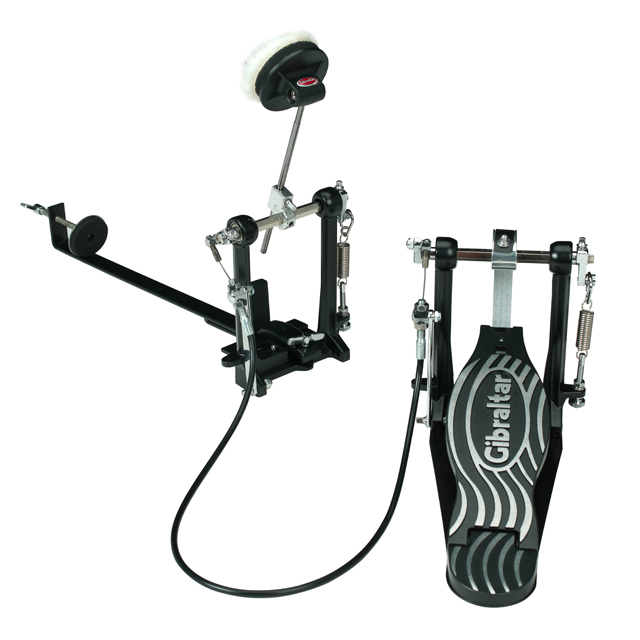 The GCP also comes with a long clamp with the pedal attachment on one end. This contraption clamps under the bottom of the cajon adding the lip for attaching the pedal. Out of the box, the GCP needs some tweaking to perform smoothly and not wear out the cable prematurely. First the previously mentioned cable brackets need to be aligned parallel with the posts and tightened hard to avoid slipping sideways. The angle of both cams also need adjusting so the cable protrudes straight from the sleeve. The way it comes, the cable rubs against the sleeve collar which would cause very rapid wear and eventually breakage. Also the cable didn’t seem to be lubricated at all. Just to be safe we squirted some WD40 into the sleeve on both ends and ran the cable back and forth a couple hundred times to distribute the oil. Gibraltar have acknowledged that these setup tweaks are necessary. (Except for the lube.) See their video to the right for detailed video instructions. If the GCP is to be used with a cajon, don’t snug the clamp’s beam up against the cajon bottom, but rather place the cajon on the floor and allow the clamp to also rest on the floor while tightening. If the beam is snugged up to the bottom, the beater portion of the GCP is suspended and flops around like a freshly caught fish. 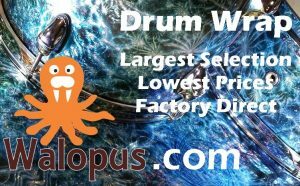 For our testing, we replaced the beater and rigged the GCP to a regular 18″ bass drum without riser. Many owners of the GCP have expressed dissatisfaction with responsiveness and cable breakage. In our tests we found it to be adequately responsive with some of us not even being able to notice a difference from a regular pedal. This would probably not have been the case had we not performed the recommended tweaks though. It is also extremely important to route the cable in a manner that there are no sharp bends, only smooth sweeping curves. After logging about eight hours of continuous jamming with the GCP we can report that it’s still holding up. Despite numerous complaints of cable breakage from dissatisfied owners, our cable is still intact and doesn’t show significant signs of wear. I believe though that this is largely due to proper set-up prior to using the pedal and the addition of lubrication. We did re-lube once during the eight hours and adjusted the two vertical brackets a few times as they did slip and come out of alignment. Without the lube and following the setup instructions to the right, I would not have been surprised if the cable snapped. Attach the pedal mount onto the cajon with the “T” pedal mount on the playing side of the cajon. 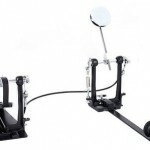 Then mount the slave pedal frame directly to the pedal mount and attach the cajon beater. 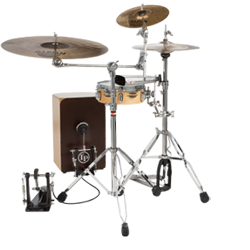 Position the primary pedal to a comfortable playing position (good for righty or lefty) and your set to start playing. The Overall Construction and Design receives a 6 out of a possible 10. The low score is mostly due to the two bolt-on columns with insufficient support, requiring constant readjustment and tightening. Value for Money gets a whopping 8 out of 10 possible, largely thanks to the low street price. Quality and Durability ends up at 6 out of 10 with the score mostly suffering due to the flimsy cable.